Large King Suite unit walking distance to all Old Mandeville has to offer. Located in the walking community of Old Mandeville. One block from the Mandeville Trailhead and the Tammany Trace. Five blocks from the lake. Great for a small family, romantic getaway, business stays and events at Pelican Park. Large 780 square feet space including a king suite, full bath, desk area, living room and kitchenette. Continental breakfast with coffee and tea bar is included. There is an outdoor patio for your enjoyment. This is a private apartment separate from our living area. Dogs are welcome for a $25 per night fee. After 32 years in the wine business, I decided to retire. Our dream was to live in Old Mandeville by the lake. We decided to create a Bed and Breakfast in the downstairs unit when we became empty nesters. The experience has been fun and rewarding. We are central to all Mandeville events, shops and restaurants. Walk to the Dew Drop and Trailhead for concerts. Close to Wedding venues Lafitte House and Greystone as well as Pelican Park. We are different because our space is the size of a small apartment and private. Large for a Bed and Breakfast. 780 square feet! 2 TVs. One in bedroom and in living room. Private porch that seats 6. Loved it! Very comfortable and cozy. Wonderful hostess! Loved being close to restaurants, shops and the trailhead. We really enjoyed and wished we could have stayed longer! This place is the best rental experience we have had. We have had a few rentals , all good. But this takes the prize. Katie is an excellent host and the place is amazing. If you pass this up, you are missing out. Such nice words! I loved hosting your sweet family. Please come back again! Lots of room. Well furnished and decorated. Continental breakfast provided and a welcome bottle of wine and LA beers. Access to great restaurants, bars and lakefront as well as quick access to causeway into NOLA. Thank you for your kind words. We enjoyed having you! Please come back again! Beautifully furnished with original art and antiques.. right in the middle of historic Mandeville. Lovely property, great hosts and walkable to many fine restaurants and a great bike and walking trail. Thanks Barb and Shel! You were awesome guests. Please come visit with us next time you’re in town! We had such a lovely time staying here at The About Trace B&B in Mandeville. 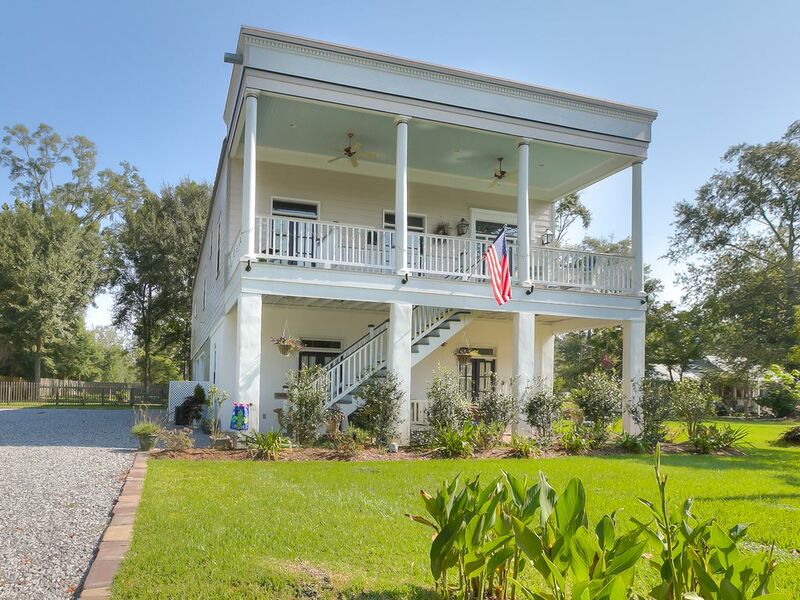 So very quaint and relaxing in the heart of Old Mandeville and that small town charm. Great restaurants and so close to the lakefront. The house was so spacious and Katie (the owner) really went the extra mile. A tea and coffee bar. Wine and snacks were available as soon as we entered. Comfortable large bed, plenty of linens and very very clean. We felt right at home and probably relaxed more than we have in a long time. Lovely front porch and very quiet location. Kitchenette doesn’t have a sink or a stove so no cooking was involved, but who wants to cook when you are so relaxed! With all of the dining options nearby, take out was the way to go!! Thanks you for sharing your beautiful home! We will be back! Thank you Cheryl for your kind words! You were great guests and we’d love to have you back.